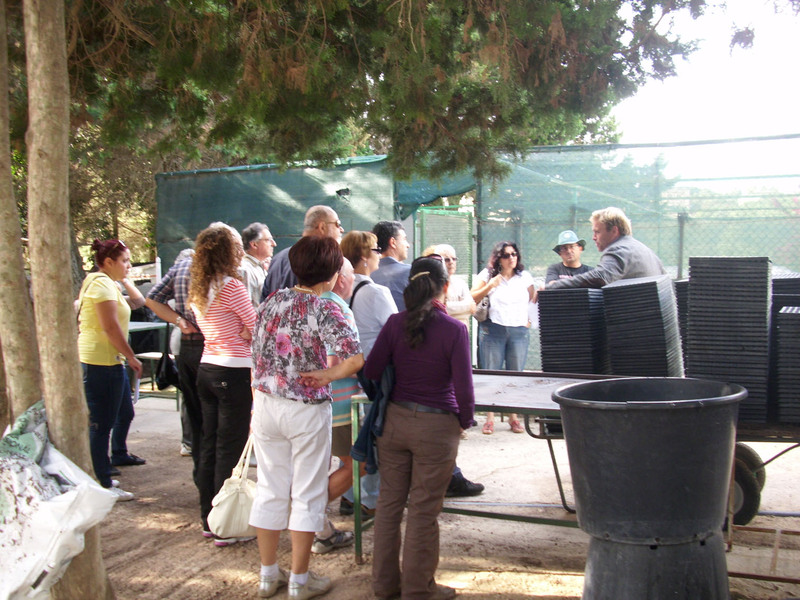 The latest activity by the GTA took us to the production nursery at Wied Incita Attard. This nursery is now run by the Environmental Landscape consortium (ELC) after the public private partnership set up for the landscaping and general maintenance of public areas and gardens in Malta. 29 persons turned up and the active participant was Mr Paul Foster the Nursery Manager. 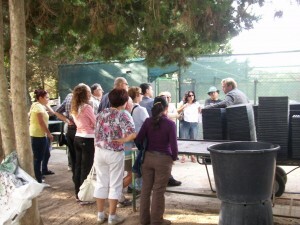 A good number of teachers of geography attended the latest activity organised by the GTA to Wied Incita nursery. Mr. P Forster, the Nursery manager was the active participant for the day. We all have seen the great number of plants decorating the Maltese roundabouts. These are cultivated at this nursery where emphasis is being made on the selection of those species which are most adapted to our environment and which can be grown sustainably. 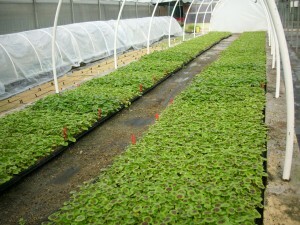 Propagation is carried out in greenhouses in weed free soil. Processes include research into rapid propagation techniques and compost materials. In fact pumice is being used to increase drainage and porosity. Most of the work is done manually though we did see a machine filling the pots with soil and one of workers patiently transplanting the small plants one by one. 95% of the seasonal flowers currently being planted on roundabouts, central strips are being produced in their entirety in Malta using local labour. 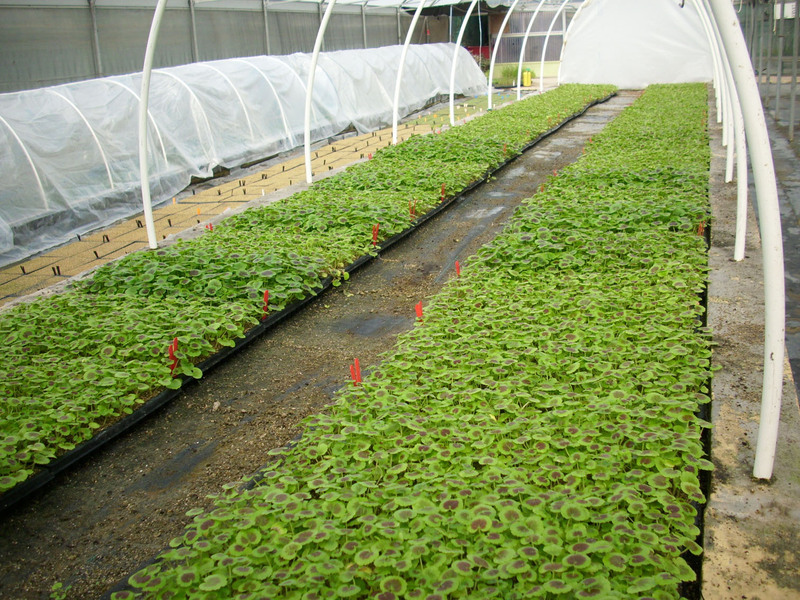 Thousands of plants well adapted to our environment are propogated in greenhouses in weed free soil. In the waste zone area great piles of posedonia were being left in the sun and rain so that the salts would be removed. This natural resource can then be used to add important nutrients to the soil. In the tree growing section we could see the rows of olives and red palm trees weaver free. The latter can be moved after two years and will help to enhance various sites in Malta. Whilst we were impressed by the great number of plants and trees nurtured from just seeds going into thousands it is a pity there is still the use of pesticides. Hopefully in the future more natural ways of protecting the plants can be adopted instead of or at least in combination with these pesticides. Visits for students are welcome. Horticulture today is growing into an important trade so students can learn about this interesting field of study. Teachers of geography are encouraged to participate actively in the Global Education Week activities which are going to be held between the 19th and the 23rd of November of this scholastic year. The theme chosen by the North South Centre for this scholastic year is ‘Moving towards One World!’ and as in previous year the co-ordinator of this project is Ms. Rita DeBattista (Head of Department- Geography). More details and suggestions of activities that can be carried out can be found on the letter circular which can be downloaded from here. Schools that are willing to participate in this cross-curricular project are to fill in the participation form which is available here. The project should consist of a report of approximately 1500 to 2000 words about the chosen topic. In their write up candidates are expected to develop the topic in their own words and to supplement their account with appropriate statistics, graphs and photos/sketches/diagrams (with appropriate captions). While candidates are encouraged to use the available literature and the Internet for their research, they are reminded that plagiarised work will be heavily penalised. This work shall carry a total mark of 30/200 or 15% of the global mark of the examination. This practical component shall be assessed by the schools during the candidates’ course of study. Projects are to be available at the candidates’ schools for moderation by the Markers’ Panel. Moderators sent by MATSEC have been advised to apply the following Marking Scheme during the moderation exercise. e) Conclusion indicating ideas, observations and suggestions which the candidates make as a result of all that they observe and judge. Candidates may also be called for an interview to verify authenticity and to check for plagiarism. The Geography section within The Curriculum Management and eLearning Department informs all stakeholders that the new Geography curriculum documents for Forms 1 and 2 are now available in the syllabi page of this website as well as on the curriculum website at: www.curriculum.gov.mt . They will replace the current Form 1 and 2 state school syllabi as from September 2012. The curriculum documentation consists of a revised handbook for the teaching of each subject, curriculum units with examples of teaching activities for each form together with another document listing the teaching objectives and learning outcomes that need to be covered in a year. These documents promote constructivist approaches for effective learning and teaching, where learners are actively engaged in using a wide range of resources including communication technologies (ICT). 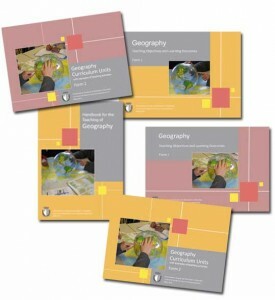 They also provide teaching objectives along with pedagogical suggestions for good practice. They are meant to inspire teachers and are flexible enough to allow teachers develop their own ideas and activities in order to meet the different abilities of the students in their classrooms. The objectives, teaching activities and outcomes of the curriculum units have been designed to accommodate teaching approaches that support the learning needs of all students. They encourage teachers to ensure that all students have the maximum opportunity to learn whatever their level. Kindly note that a new Masters degree in Education for Sustainable Development is being offered by the Centre for Environmental Education and Research within the UOM as from next Feb 2012. Teachers of geography are encouraged to participate actively in the Global Education Week activities which are going to be held between the 14th and the 18th of November of this scholastic year. The theme chosen for this year is Act for Our Planet and as in previous year the co-ordinator of this project is Ms. Rita DeBattista (Head of Department- Geography). As in previous years the University of Malta in collaboration with the Curriculum Management & eLearning Department (DQSE) will be holding visits to Argotti Botanic Gardens. Booking form and details regarding the drawing competition that is being organised can be downloaded from here. 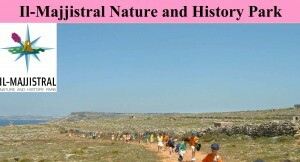 Guided nature walks are again this year being organised by Nature Trust at Il-Park tal-Majjistral limits of Mellieħa. 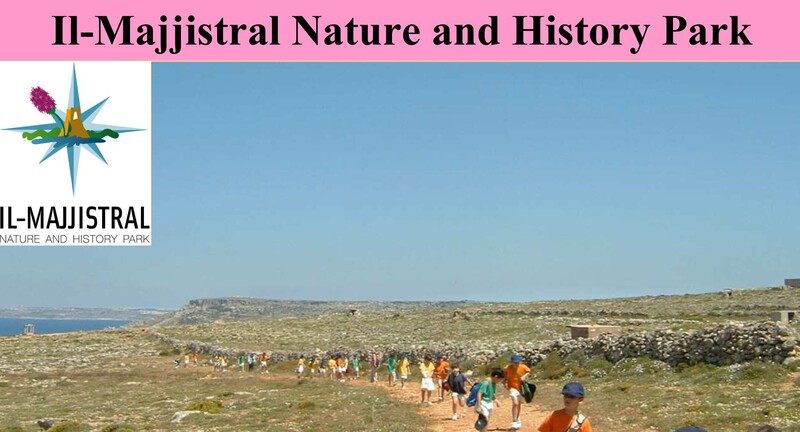 Teachers of geography are encouraged to take students studying the subject to explore various geographical and environmental issues present in the area including geology, coastal geomorphology, rich biodiverdsity and adaptation of various Mediterranean species, agricultural practices etc. Find information how to book a visit here.